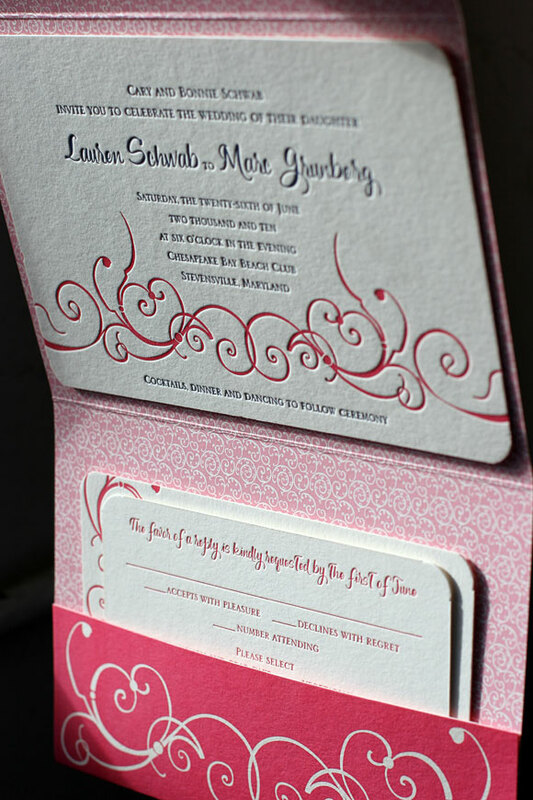 pocketfold wedding invitations - Smock. 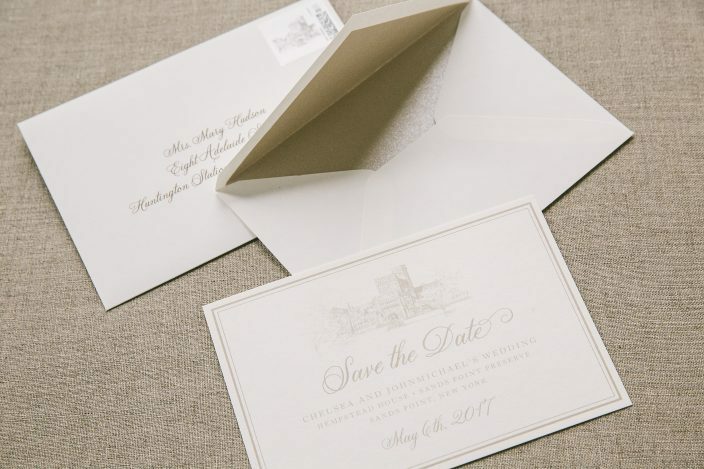 It’s always fun to see the finishing touches that our clients make when it comes to their wedding invitations and save the dates. 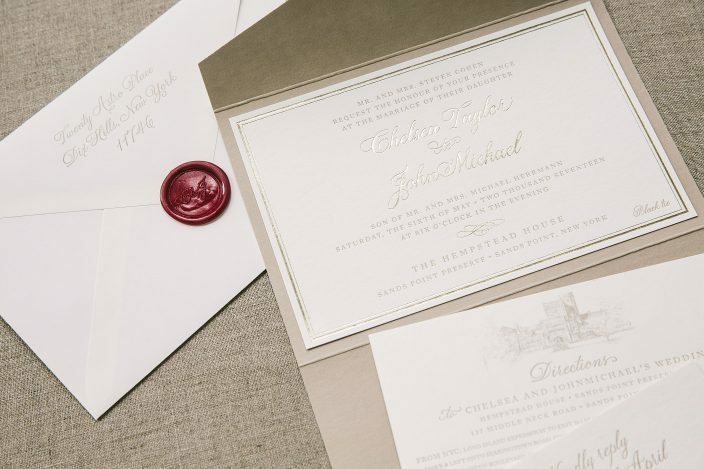 For Chelsea and JohnMichael’s May wedding at The Hempstead House, we worked with Jill from Jilly P Invitations & Gifts to create a set of custom, venue-inspired wedding invitations and save the dates. 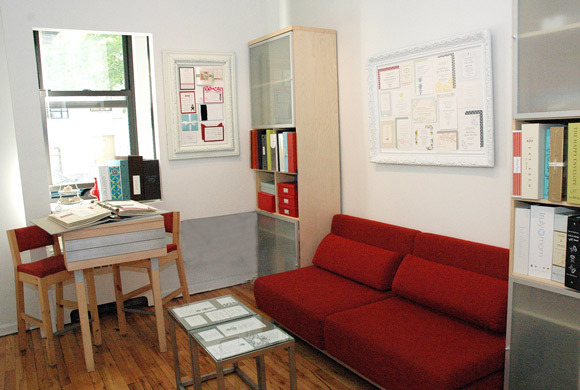 Jill shared some background with us on the inspiration for this suite – we’ll let her take it from here! Whenever I work with a customer, my goal is to always make their dreams become a reality. 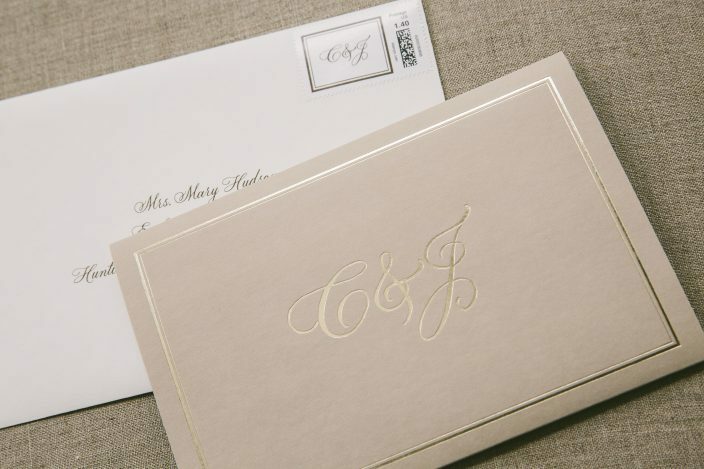 For this invitation, the bride wanted a drawing of the castle where the event was being held. So as to hint at the incredible night ahead, we first used a hand drawn image of the castle on the save the date. 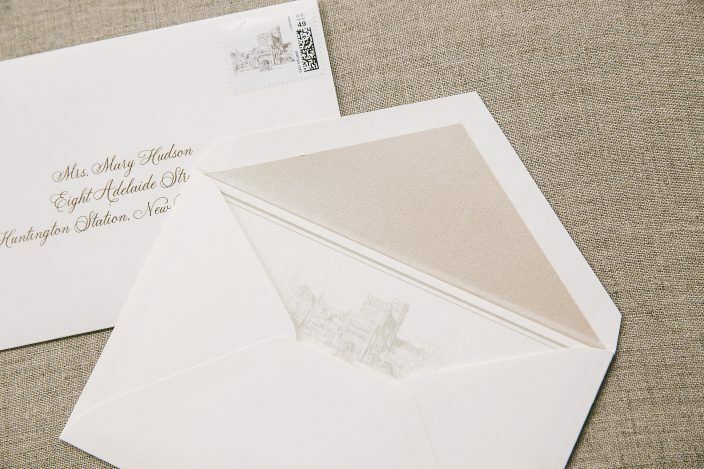 As we continued the process, we then included the castle design on the direction card in the pocketfold invitation, and to tie it all together, we designed a beautiful stamp incorporating the castle. 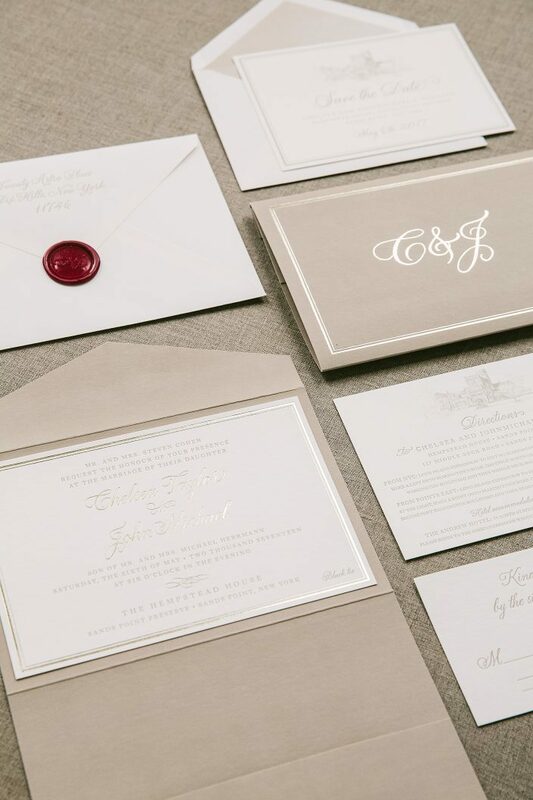 In finalizing the entire package, we added a wax seal on the back of the envelope with the bride and groom’s initials as a perfect finishing touch for what will be the most magical night of their lives. 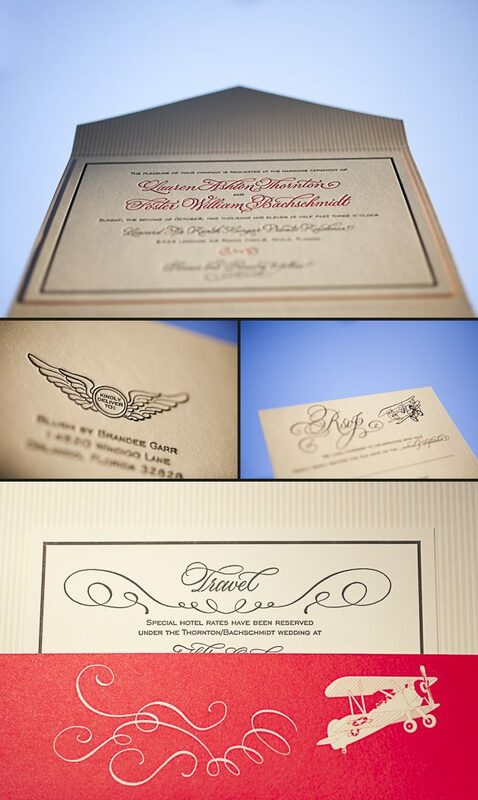 Come fly with me, let’s fly, let’s fly away…Custom Letterpress Invitations! Are you ready for take off? 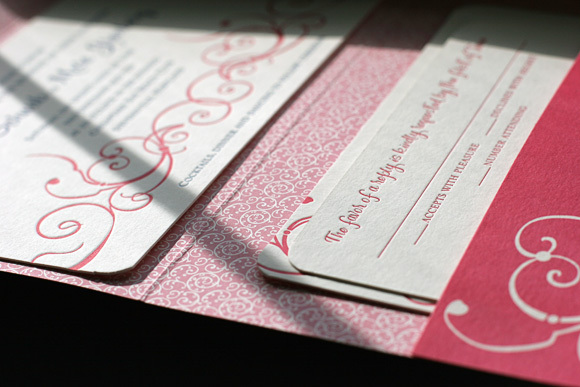 We bet these custom letterpress wedding invitations will make you swoon! 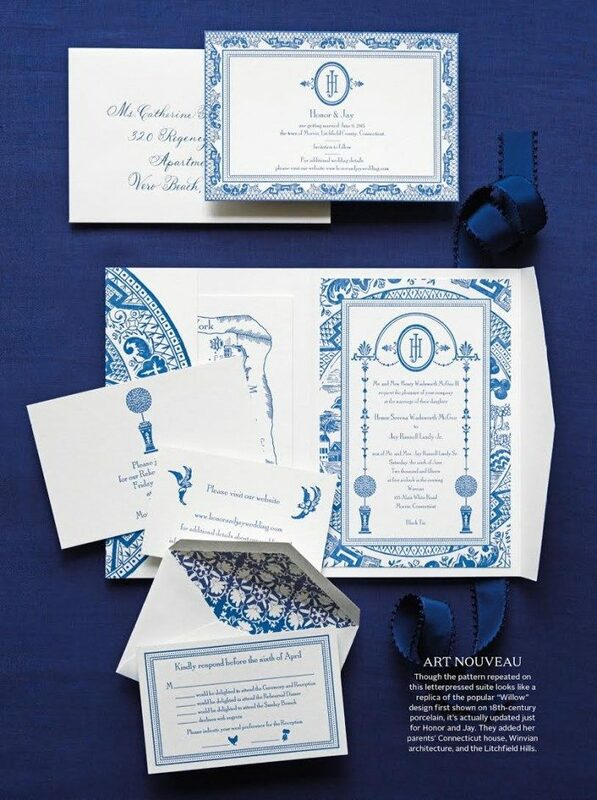 This whimsical set was submitted to us by our good friend, Darcy at Pearl Beach Paperie in Orlando, Florida. 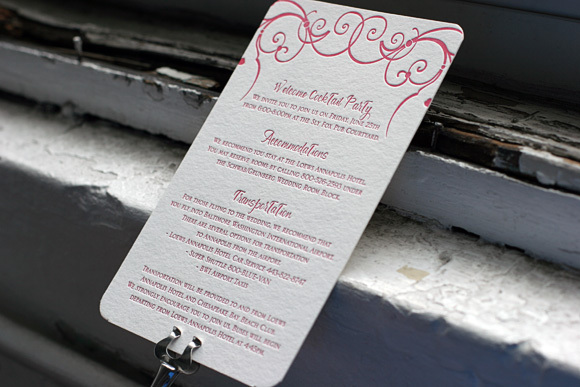 The invitation is printed in an AMAZING combination of cherry and black inks. 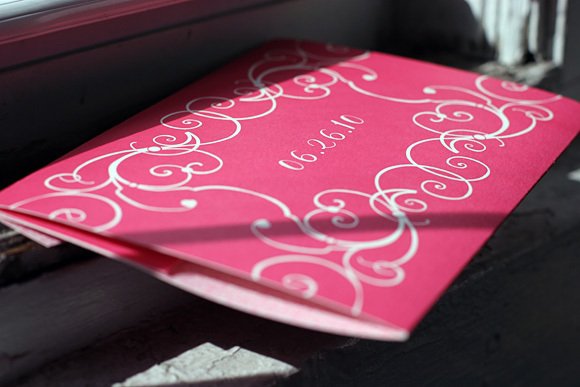 The exterior of the folio is offset printed in cherry which adds to the romantic vibe! 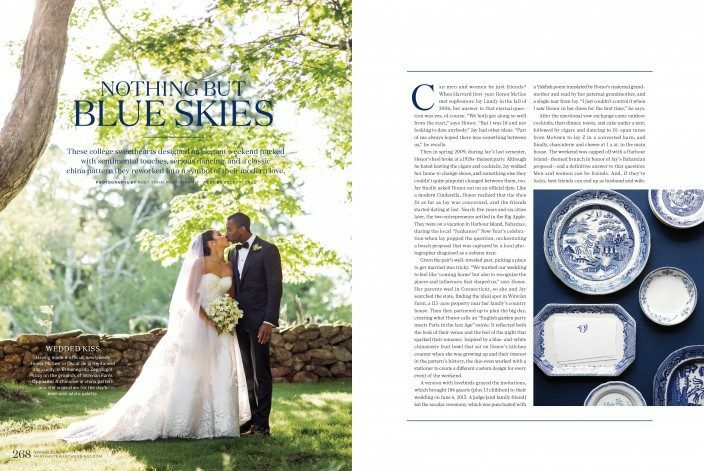 You can see the couple’s passion for airplanes and even a bit of the couple’s personality in every piece. This set features just about the cutest reply postcards we’ve ever seen! The reply postcards ask guests if they’re ready for take off or grounded due to inclement weather -as the choices are to accept or decline. 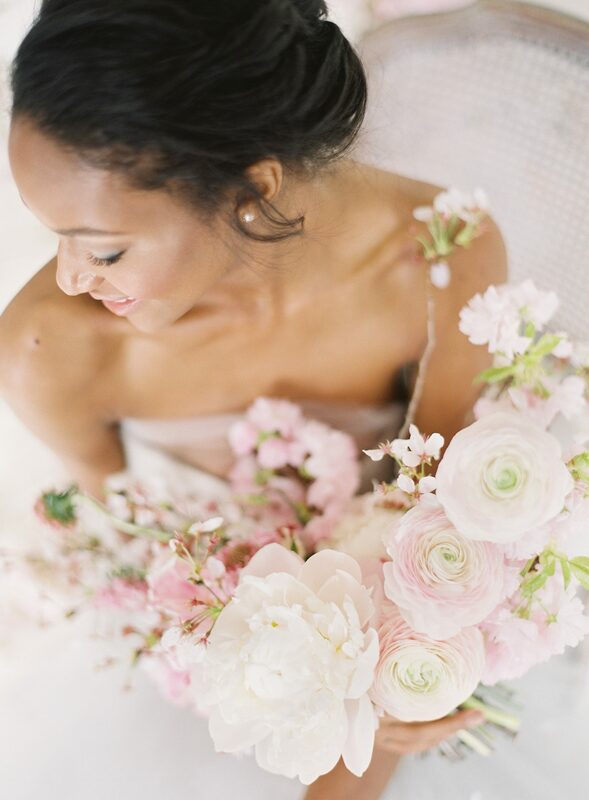 These creative invitations let guests know that the wedding celebration will be filled with fun!